Briefs Factory is an Australian creative collective using circus, drag, dance, burlesque and comedy to create fun-fuelled show. This year the Briefs Factory is celebrating its 10th birthday with their third show Briefs: Close Encounters. The collective started out 10 years ago as a warehouse party. The aim was to create a safe space for artists from all walks of life to try out new material with a live audience. 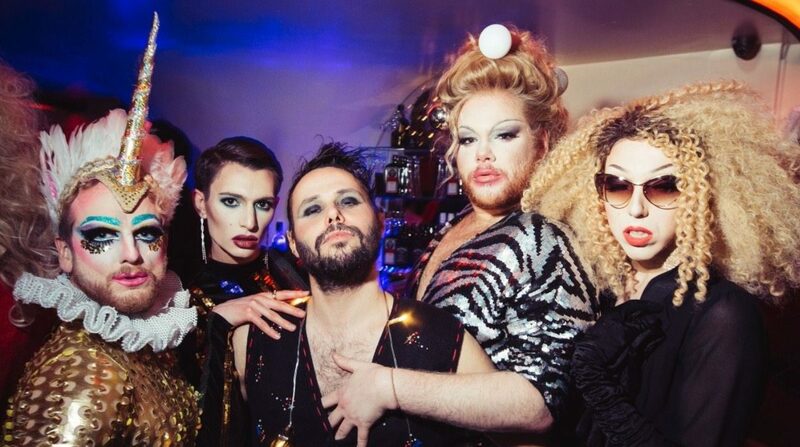 “We gathered a collection of really exciting performers and ten years later we have now developed from a club night into a collective.” explains Fez Faanana, Briefs’ co-founder. Briefs Factory draws aspects of popular theatre practices such as comedy, drag and burlesque, which, combined, allow for politics to be discussed using entertainment as a lens. Using burlesque and drag is key, according to Faanana. “Theatre is a weapon for everyone to escape into and to use as a point of discussion. It’s important for people to acknowledge theatre in all of its forms. Theatre can be this thing that gives you the opportunity to question reality or evoke conversation,” he says. Theatre has the potential to be political which Briefs explore during their show Briefs: Close Encounters. “We bring together the protest of burlesque, the storytelling of circus, the grit of drag, and making sure all different types of voices are heard,” Faanana explains. Louie Biggs is from north western Australia and joined Briefs in June 2013. Biggs mainly does circus acrobatics and burlesque. For him, burlesque is a protest piece that allows performers to explore their insecurities on stage. “Showing everyone that it’s not just about having the perfect body or being able to do the perfect moves and the perfect dance. It’s about a celebration of yourself,” says Biggs. Mark ‘Captain Kidd’ Winmill is a dancer and aerial performer whose father was an acrobat and whose grandfather was a clown. Winmill was crowned King of Boylesque in 2011 and stresses the importance of theatre being a protest and a party. British dancer and performer Harry Clayton Wright grew up in Blackpool and joined the collective in January 2017. Growing up in Blackpool, Clayton was surrounded by a rich circus, entertainment and drag history and always loved that genre of performance. He began performing in popular British seaside resort Butlins. “Advice for 18-year-old me would be, your weirdness is something that will actually be a strength, so don’t worry about standing out and being a bit odd. That’s actually going to work in your favour,“ he said. Briefs Factory will be performing their show Briefs: Close Encounters as part of Christmas In Leicester Square until January 3.